an Adobe InDesign version greater than CS4. -- SELECT --CC 2018CC 2017CC 2015CC 2014CC (9.x)CS6CS5.5CS5CS4 By submitting this form, I accept that the information entered will be exploited as part of the download request and the commercial relationship that may result. Includes 30 days of free phone support. By phone: +33 970 24 89 90 (prix d’un appel local). The trial version of EasyCatalog for Adobe InDesign is deliered in french. Mac version and PC version. Compatible with Adobe InDesign CC 2018, CC 2017, CC 2015, CC 2014, CC (9.x), CS6, CS5.5 et CS4. You start ? We offer EasyCatalog training tailored to your needs. EasyCatalog is the world’s # 1 software for automatic catalog and data-publishing layout. The filling, updating and automatic assembly of catalog data is done in a few clicks. We are official distributors of the solution in France and trainers certified by the software publisher, 65bit. EasyCatalog for Adobe InDesign allows you to automatically layout your documents, catalogs, brochures, magazines, and trade brochures by linking your catalog in InDesign with a data source. In a few clicks, after creating page templates, automatically fill in your document with your product data. It is also easy to update your data so that your document is always up-to-date. It covers a wide range of publications. Although it is frequently used for the automatic production of catalogs produced in the distribution or the merchants, it also makes it possible very quickly to produce data sheets, tariffs, labels, translated catalogs, etc. 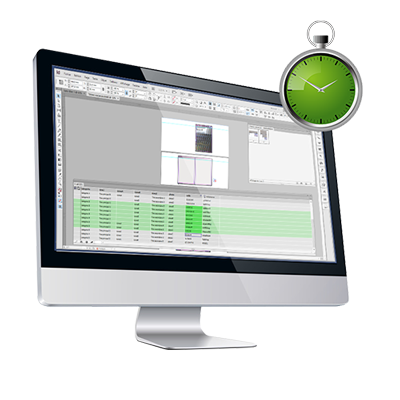 Integrated with the Adobe InDesign interface, the graphic designer can keep his work tool and will not be disturbed in his daily tasks. EasyCatalog is an intuitive tool for any graphic designer who knows how to use InDesign and does not require any programming knowledge. Everything is done through the EasyCatalog palette which allows you to move the desired product data to any place on your page or pages. After a quick training to the tool, it is then possible to generate documents automatically, with clean and secure data. Need help ? We offer Adobe InDesign training. EasyCatalog is an add-on module to InDesign developed by 65bits software. Fully integrated with Adobe’s layout software, it blends seamlessly into the interface. With ten years of existence, EasyCatalog is the leader in layout automation. Big names, but also advertising agencies, advertisers and freelance graphic designers use it in their layout process. The operating principle of EasyCatalog is simple: we are on an advanced and intelligent mailing base. It allows automatic layout with Adobe Indesign and Excel for example. The data are imported from various sources : Excel, CSV, connexion ODBC, XML… You will have access to your prices, descriptions, features … directly in your layout software. Once the data is imported, an EasyCatalog palette will be created: it is the mirror of your data directly accessible in InDesign in the form of a spreadsheet. Once the data is in InDesign, you need to create a presentation template for the products. This is called a product template. It consists of text blocks, images, and InDesign tables. This layout template is linked via “tags” to the data palette. It only remains to assemble this pallet of data to the product template. Manually or automatically, the products are then inserted into the pages with the right styles and formatting. A phase of rebalancing is often necessary: ​​management of the whites, reframing of the images, management of the particular cases … The graphic designer remains as free as before to work. The shape or styles can, of course, be modified after the assembly, the link with the source will still be preserved. Why EasyCatalog improves the daily work of graphic designer ? It eliminates and reduces “laborious” tasks. Copy and paste, back and replay … EasyCatalogue automates the production of your media. The graphic designer then has more time to focus on his real job: graphics. The other advantage is to be able to ensure the integrity of your data, one way or the other. If the data is right in the database, it will be in the catalog and vice versa. 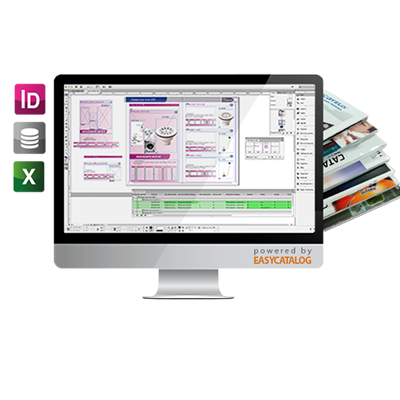 Mass integration of data in InDesign : this data can come from various sources, EasyCatalog can thus connect to a product database, integrate a CSV, an XLS or an XML flow. The data in your document is thus, of course, the same as that of your source and faults are avoided. Creating a dynamic and bidirectional link between a data source and this document : at any time, price, description, feature or even images can be updated with a few clicks. 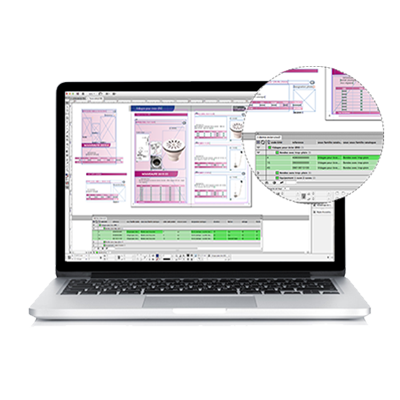 An automatic layout more or less advanced according to the needs : thanks to the creation of product templates and the implementation of simple rules, the generation of catalogs, brochures, sheets … more or less complex can be achieved automatically. Depending on the maintenance and support needs, the price of an EasyCatalog license is in the range from € 1190 to € 2200 excluding taxes. The productivity gain on automatic document generation is so important that our customers generally make the purchase of the software profitable in the second year. He is today the leader of data-publishing tools in the world. For more information, do not hesitate to contact our sales team on +33 970 24 89 90. We offer for 30 days after downloading EasyCatalog a free support number for the use of the software : +33 970 24 89 90. The plug-in may seem confusing at first: for the design of your first catalog do not hesitate to call us for us to explain how to take the tool in hand. The software is easy to use after an explanation of the interface: no programming is required to use it. As part of our EasyCatalog training, we prepare your data source together and assist you from A to Z in the realization of your project catalog, directory, brochure, flyer, brochure, guide, etc. We have supported several hundred companies for 9 years : in the marketing, communication, administration, industry, distribution, etc. sectors.